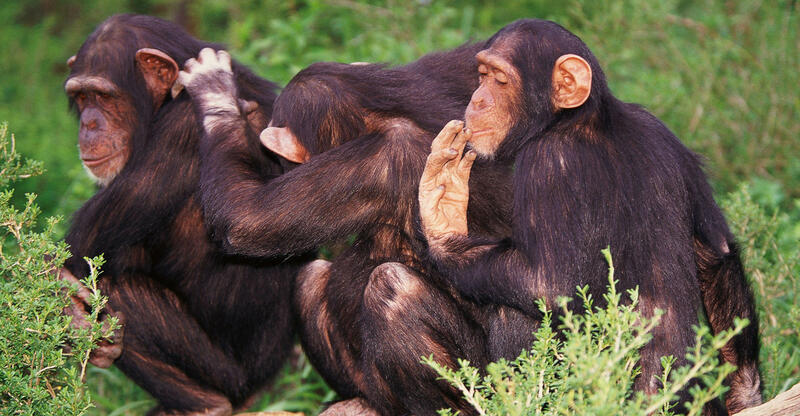 Female chimpanzees set out to create strong female relationships, according to a new study from Duke University. While male chimps form tight-knit social groups that last their entire lives, females have a habit of leaving their families behind and forging new social relationships with other females. Duke researchers examined almost four decades' worth of daily records for 53 adult female chimpanzees living in Tanzania's Gombe National Park. They observed more than 600 different pairings of female friends, and noted that the tightest bonds were formed between mothers and daughters. Researchers also observed strong bonds between low-ranking females, although it was unclear whether they were true comrades or simply friends of convenience. "It doesn't necessarily mean that they like each other," added study co-author Steffen Foerster. "The lowest-ranking females are the newest to arrive. When a female migrates into a new group, she starts at the bottom of the social ladder. It may be that they're not really that into each other, but that they need to tolerate being in the same space," he said.